With one of the world’s largest youth population, India is poised to become one of the world’s leading markets in Gaming Sector. 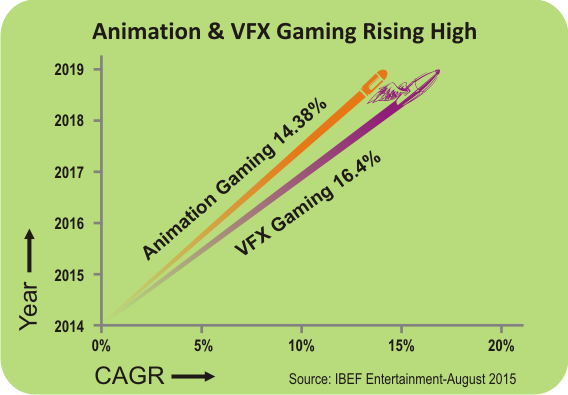 Currently valued at USD 890 million, the Indian Gaming Industry is estimated for the annual growth rate of 14.3 per cent with mobile Gaming taking the lead at 71% share. 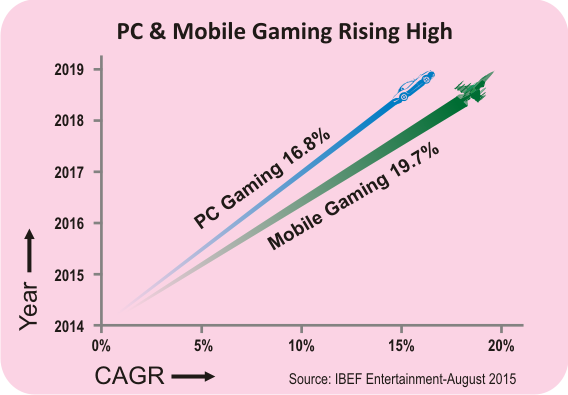 The growth is driven by rising younger population, higher disposable incomes, introduction of new gaming genres, and the increasing number of smartphone and tablet users. With a growing consumer base and e-commerce solutions in place, the Indian game developer ecosystem will have ample opportunity to innovate and provide compelling content with social and cultural context, which is key in engaging the Indian consumer. With experience outsourcing, QA testing and developing products combined with availability of creative talent, advanced technology and low-cost, Indian markets provide the best opportunity for collaboration and development work. 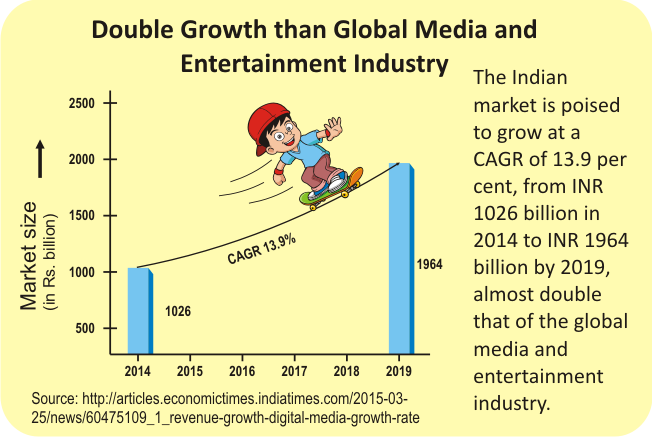 Revenue in the Mobile Games segment is expected to show an annual growth rate (CAGR 2018-2022) of 9.8% resulting in a market volume of USD 943 million in 2022. User penetration in the Mobile Gaming is at 19.9% in 2018 and is expected to hit 26.0% in 2022. Gaming based on famous hyped events like Kaun Banega Crorepati, T2Ofever.com, IPL, Khel Kabaddi, etc.